Struggling Research in Motion has been approached by computing giant IBM regarding the acquisition of its enterprise services. According to Bloomberg, people "familiar with the situation" have said IBM made an informal approach to RIM about acquiring its enterprise services division. The part of RIM's business in question is the one which runs the network of secure servers which BlackBerry devices use for various services including emails and BBM. Apparently the board at Research in Motion rebuffed the approach from IBM, as it wants to see how BlackBerry 10 plays out before considering selling off parts of the business. IBM's interest makes sense, as it's currently the biggest provider of enterprise services in the world – so adding Research in Motion's division to its portfolio would be a sensible move. 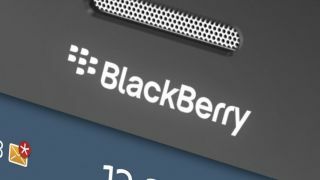 The first BlackBerry 10 handsets are expected to arrive at the start of 2013, after their launch before the end of this year was delayed on the grounds that the operating system was not yet ready for release. We'll be keeping a close eye on the success of BB 10, because if it fails to set hearts racing we may see RIM being split up and sold off quicker than you can say "BBM me".